From architects to the registered nurse, almost 84 occupations are now open for applicants on the Australian Capital Territory’s skilled occupations list. The territory has updated its occupation list following the new federal occupation list released by the Department of Home Affairs last week. The new list has incorporated the changes to the list of eligible occupations for State/Territory nomination. 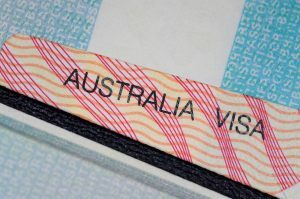 Invitations are now open for the ACT state sponsorship (190 visas). The ACT made significant changes to its nomination process last year. Now the applicant ‘must formally express an interest in applying for ACT 190 nomination by completing a score-based Canberra Matrix,’ according to the ACT Government. The matrix contains allocated points against demonstrated economic contribution or benefit and/or a genuine commitment to be part of the ACT community. “Scores of 20 points and above will be ranked. The highest ranked candidates under the scoring system will then be selected and invited to apply for ACT 190 nomination,” reads the Canberra Matrix guidelines. The ACT issued 363 invitations on March 12 after the list was updated. Next round of invitations will be held on 28 March 2019.